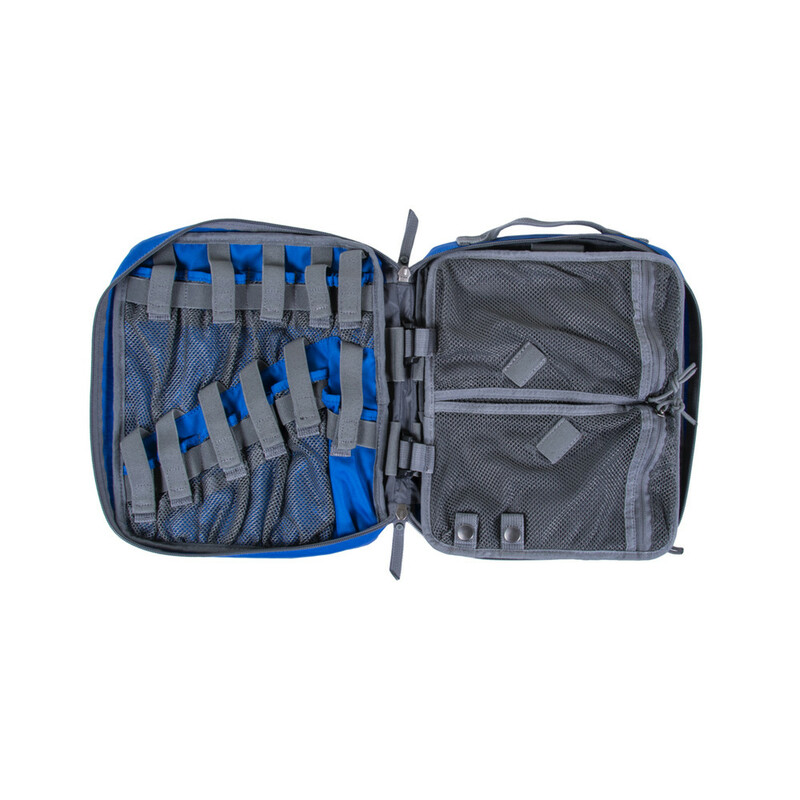 The Airway Kit features individual mesh pouches that provide plenty of space for your 5 Miller and 5 Mac Blades. 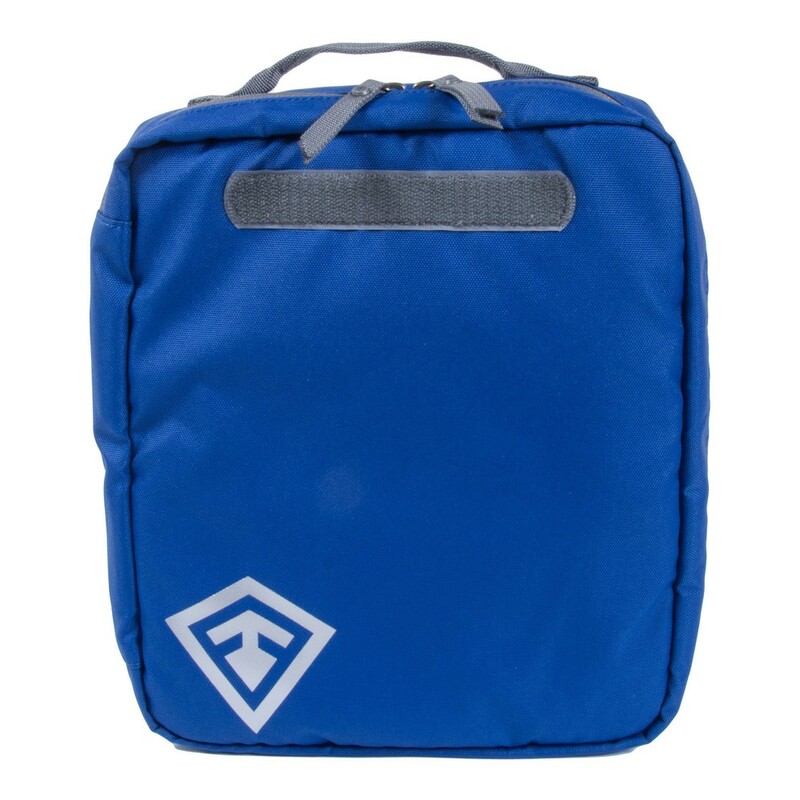 The book style pouch allows this kit to have a place in your bag rather than being thrown in a corner. The innovative designs provide a new way of holding the 2 forceps. 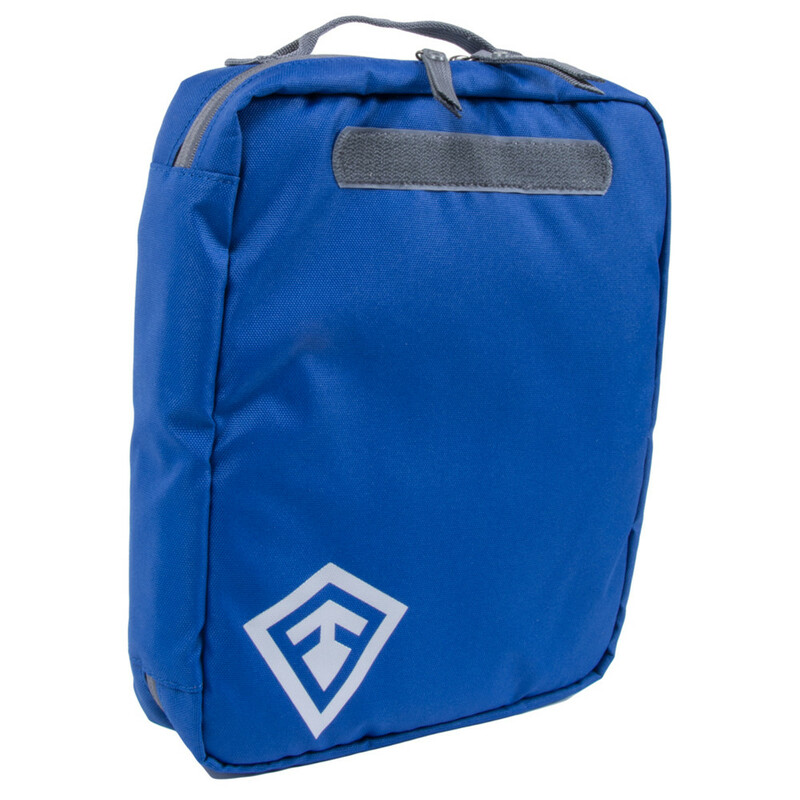 The bright blue colour and DotTac Name Tape compatibility allow the kit to be easily located or labelled. 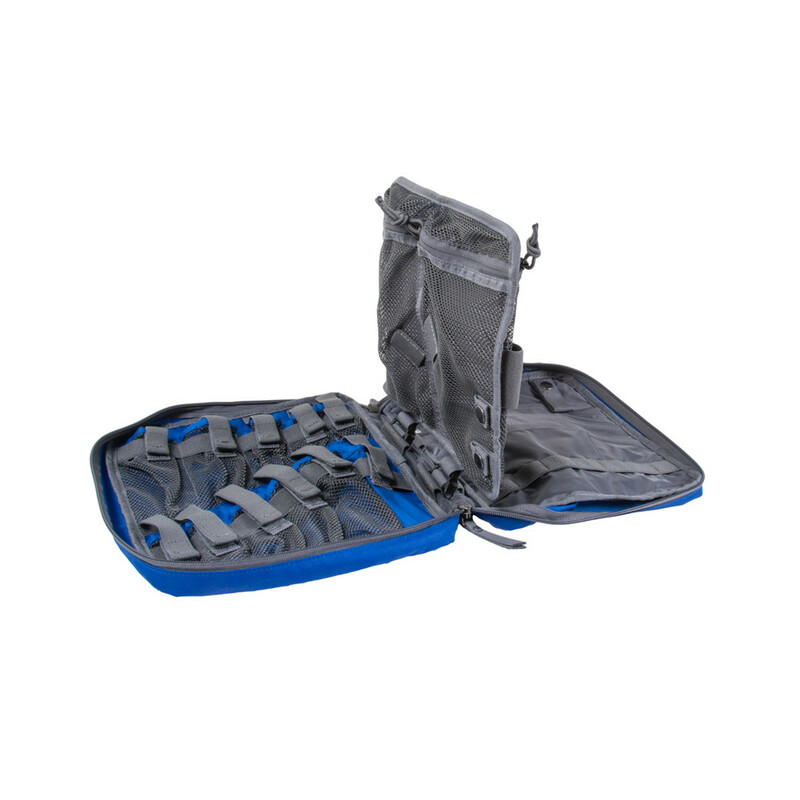 The Airway Kit features individual mesh pouches that provide optimum space for 5 Miller & Mac Blades. 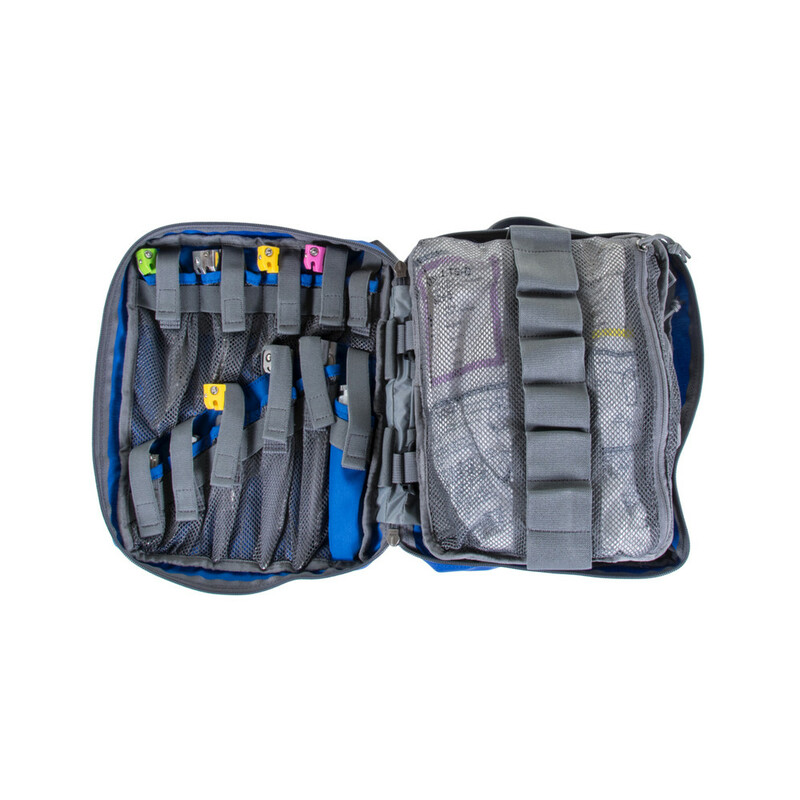 Traditional airway kits are designed as rolls and tend to be bulky, forcing operators to jam them in a corner of their bag. 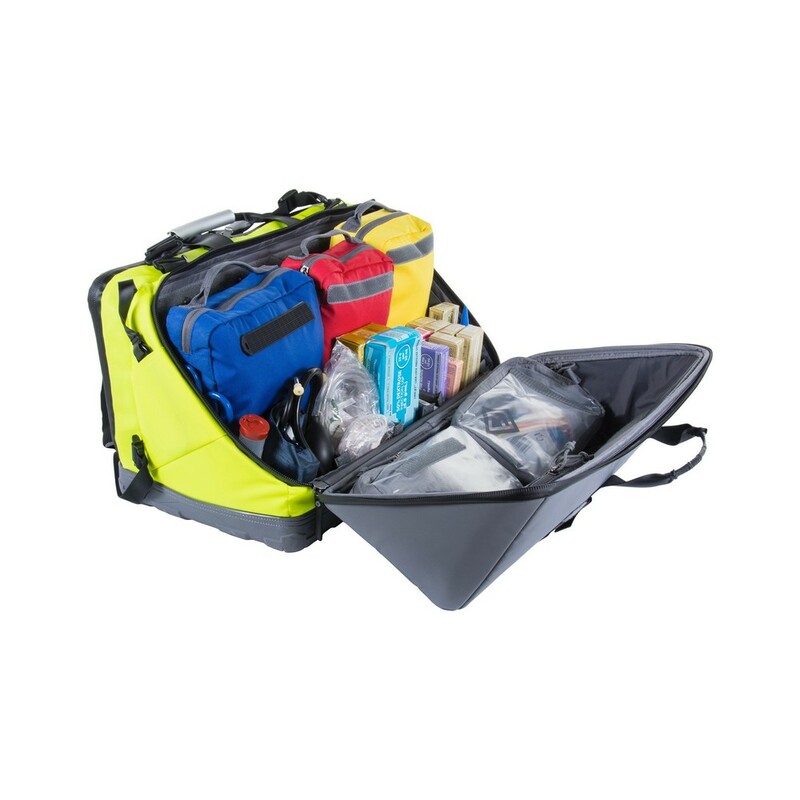 Our Airway Kit features a book-style opening making it compact and effective; giving it a place in the bag that isn't an afterthought. 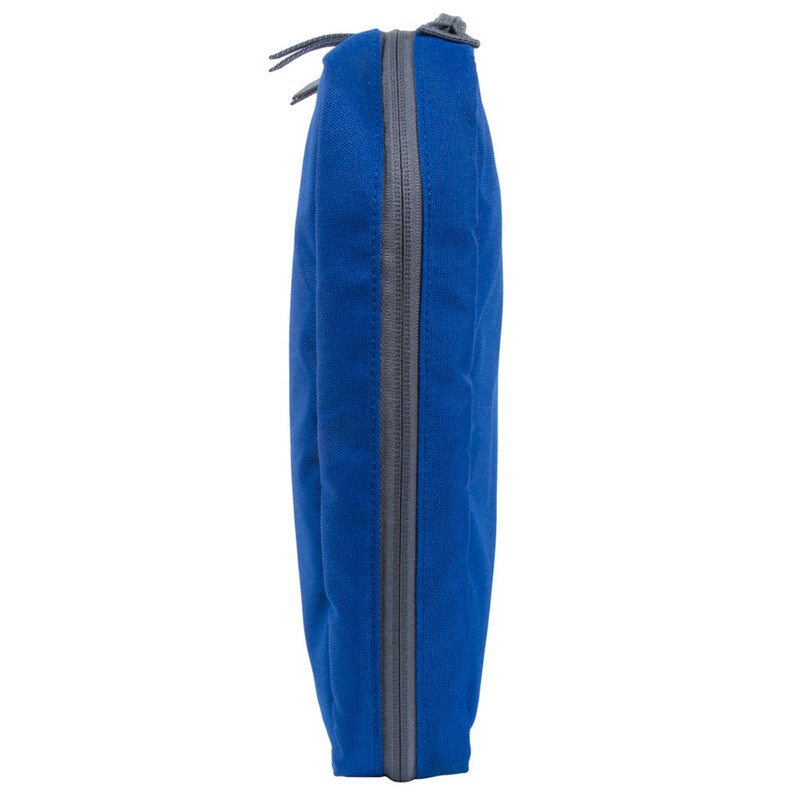 The Airway Kit is blue in colour allowing operators to find their kit or describe it to others easily. A DotTac Name Tape section allows for further customisation.